I recently took a trip to Drumheller, Alberta area and decided to drive and walk parts of the CN Drumheller Subdivision from Delia to Rockyford. Good timing too, as I understand that CN is removing all the rails on this line from Hanna back to Calgary. Part of the subdivision near Drumheller goes through the Midland Provincial Park where the Midland Coal Company historical site is located. I certainly hope that at least part of the railway ROW is turned into a walking path. 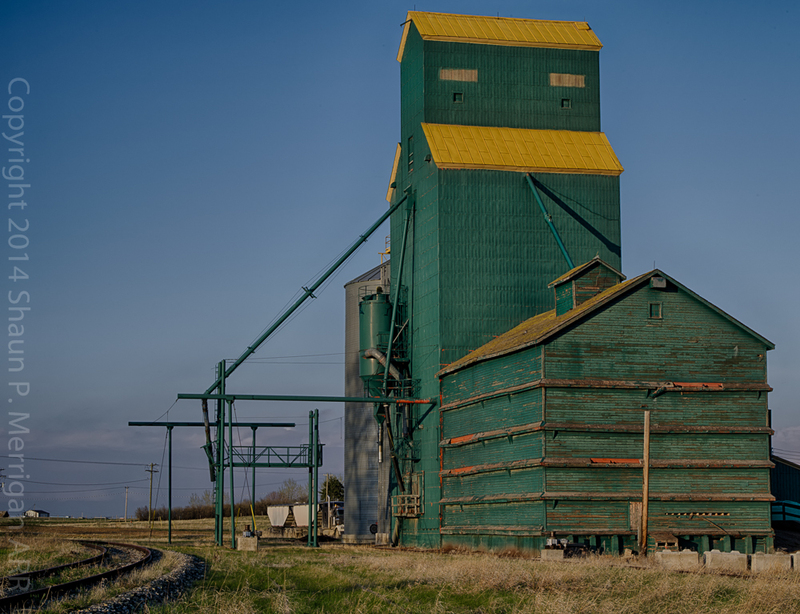 It is a unique and beautiful area of Alberta. 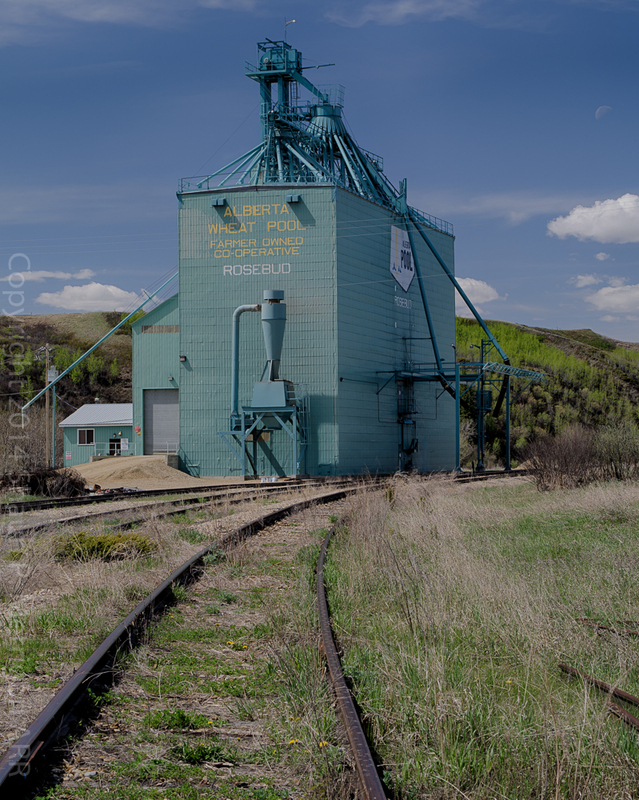 This entry was posted in Alberta Landscapes, Grain Elevator Project, Photography and tagged "Abandoned Railway", "CN Drumheller Sub", Alberta Landscape Photography, Historical Architecture, Pentax 645D, Shaun Merrigan, Wooden Grain elevators.